Over 47 years ago, on April 12, 1961 at 9:07 in the morning (Moscow time), the Soviet spacecraft Vostok 1 was launched from Baikonur cosmodrom in Kazakhstan. Aboard was a 27-year-old Soviet Air Force Major, Yuri Gagarin - the first man in space, a peasant's son, and arguably the most loved Russian in Soviet history. The flight lasted 108 minutes. The USSR turned this event into a huge propaganda campaign. Once a member of a top-secret program, Yuri Gagarin became an instant celebrity. He visited 28 countries, bringing his message around the world: the Earth is beautiful, let's keep it peaceful and safe. Yura (a nickname for Yuri) was the most popular boy's name in the USSR in 1961. As often happened with Russian heroes, Yuri Gagarin died young. He was only 34 when the MIG-15 fighter jet he was piloting crashed during a routine training flight. Yuri Gagarin and his instructor, Vladimir Seryogin, were killed on March 27, 1968. The cause of the crash was never clearly known. The MIG-15 hit the ground at full throttle. Now we get to the Yura camera. The true origin of this Zorki version is not clearly known. 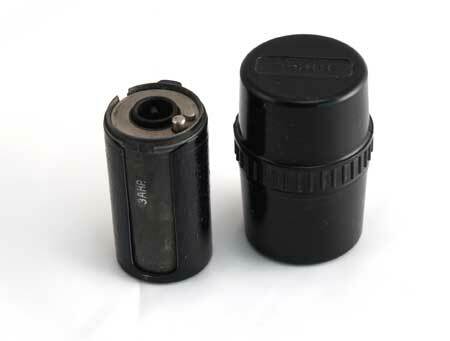 One version (cautiously supported by Jean Loup Princelle) is that a small series of commemorative Zorki-Yura rangefinders was made by the KMZ plant in 1961. I find this unlikely, since the KMZ plant discontinued the Zorki type 1 in 1956, 5 years before Gagarin's historic flight. 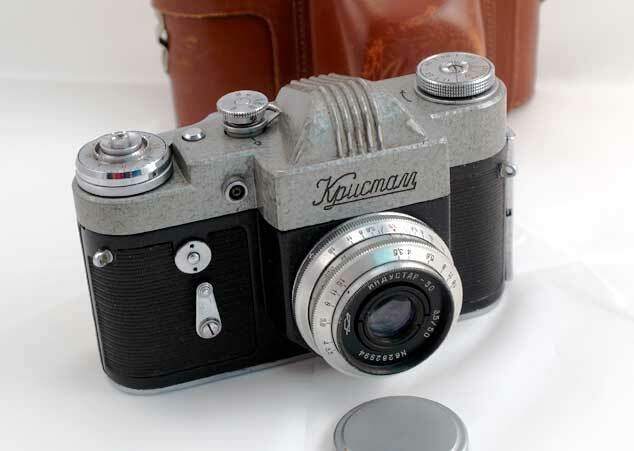 A large plant like KMZ would have used current production models for the commemorative version, the way it did in 1957 (Zorki-S, Moscow Youth Festival) and in 1967 (Zorki-4 and Zenit-3M, 50 Years or Soviet Power). I believe that the Zorki-Yura was first produced by a workshop outside of KMZ. It is possible this camera was ordered by some officials to be used as a gift for some VIPs participating in one of the countless propaganda events devoted to Yuri Gagarin. There is the question of genuine Yuras and fake Yuras. It has yet to be p roved that the Yuras made in the 1960's were genuine, i.e. made by the Zorki manufacturer, the KMZ plant near Moscow. I believe that the cameras made in the 60's and in the 90's should be treated similarly - they are re-finished Zorkis (and sometimes FEDs). The top plate features a stylized picture of the earth with the Yura name in Cyrillic. Well, the KMZ logo is there too, right next to the serial number. Of course, the historic date, 12.04.61, is also engraved on the top plate. Genuine or fake, the Zorki-Yura is an uncommon Russian Leica-type camera and its substantial value as a collectible will certainly endure. Shutter speeds - B, 1/25, 1/50/, 1/100, 1/250, 1/500. 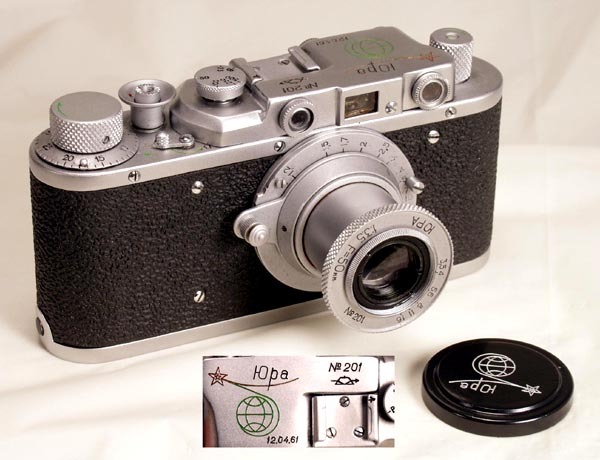 The lens is a collapsible Industar-22 (engraved Yura) F=50 mm, 1:3.5, coated, a copy of Leitz Elmar. 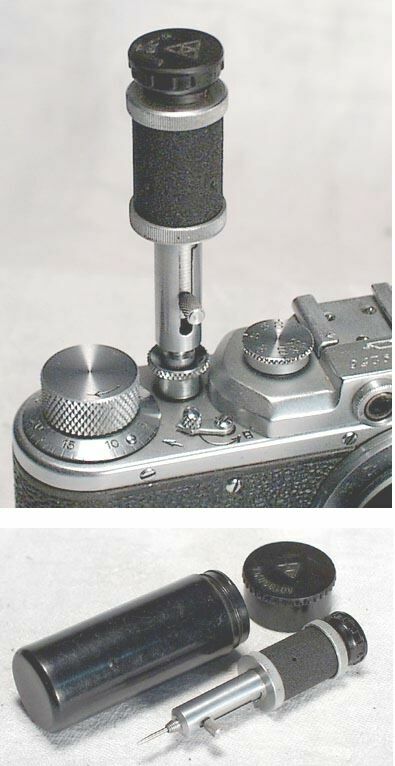 As any Zorki rangefinder, the Yura accepts the whole range of Leica threadmount lenses. This Zorki-Yura comes complete with a take-up spool, a beautifully-machined black lenscap with an engraving identical to the one on the top plate.